The authorities in the Chinese capital Beijing, which is currently under a red alert smog warning, are now turning to ways of tackling water pollution. A draft anti-water pollution piece of legislation was published in the Chinese press on Monday. It comes as an amendment of the Water Pollution Prevention Law. It stipulates that local governments will be responsible to improve water quality and be empowered with the means to boost tougher anti-pollution laws to improve water quality. The draft also focuses on means to protect city supplies of drinking water. It calls for local governments to draw up plans to put in place emergency contingency plans to secure back-up water sources, particularly for regions where there is a singular source of water. The Chinese government has for several years prioritised efforts to restrict chemical pollution of the air and water. 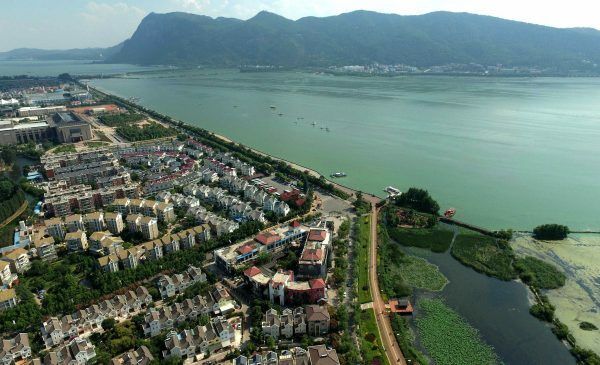 The current Water Pollution Prevention Law was enacted in 1984 and amended in 1996 and 2008, Chinese media said. The ministry of environmental protection issued a document listing 58 chemicals that will now require more restrictive registration, assessment and supervision. The report says that some banned toxicants are still being produced in China and that in some areas where drinking water is polluted, cancer rates have risen. The China Geological Survey in 2013 said that the situation would become so dire that the groundwater of 90 per cent of Chinese cities is polluted, with two-thirds of those cities having “severely polluted” water. To raise awareness of the gravity of the situation, environmental activists are using social media to track which rivers, lakes, tributaries and water supplies are contaminated and which companies are allegedly responsible.